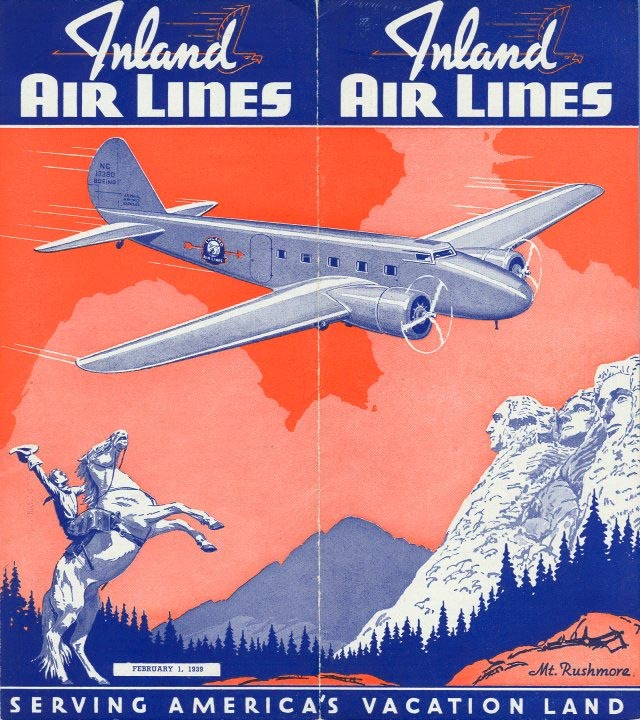 Wyoming Air Service was founded in May 1930 and started operating between Denver and Great Falls, Montana, in 1931, at first as the Wyoming-Montana Air Lines in cooperation with Border Airlines of Great Falls. 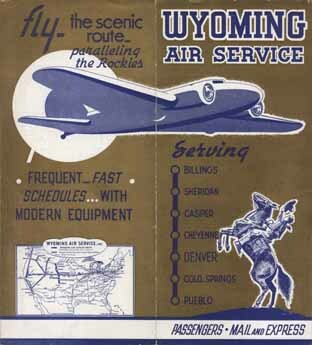 When Border ceased operations in September of that year, Wyoming Air Service concentrated on the Denver-Billings route. It was awarded mail contracts in 1934, for the Cheyenne-Billings and Cheyenne-Pueblo routes. The last one had to be sold three years later to Varney Air Transport (Pueblo-Denver) and United Air Lines (Denver-Cheyenne). 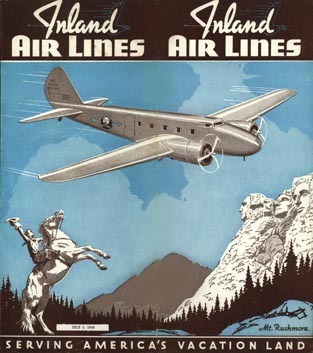 After having expanded well into South Dakota, and to reflect that it was no longer just a local Wyoming airline, Wyoming Air Service changed its name to Inland Air Lines in July 1938. 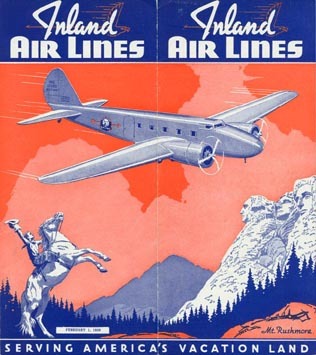 Western Air Lines acquired the majority of the stock in 1944, but Inland continued as an autonomous division until it finally disappeared into Western's system in April 1952.
visit the Inland Air Lines page of Perry Sloan's "AirTimes" site. This page last updated September 16, 2018.